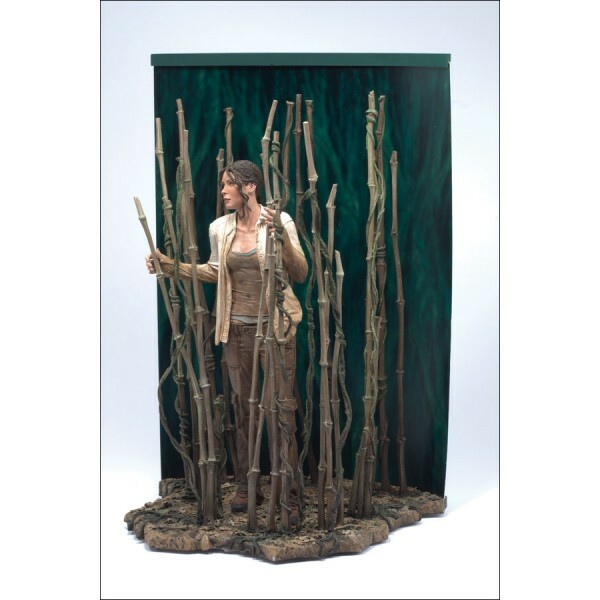 Kate Austen figure stands 6 1/2" (16.50cm) tall. Custom jungle base measures 8" (20.30cm) to top of reeds. Articulated at waist. 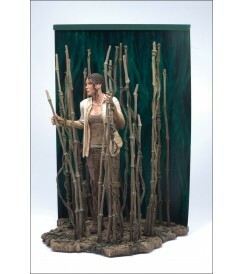 Includes jungle backdrop and Kate's toy plane full-size prop replica.